Simon Hickman is a Principal Inspector of Historic Buildings and Areas with Historic England. 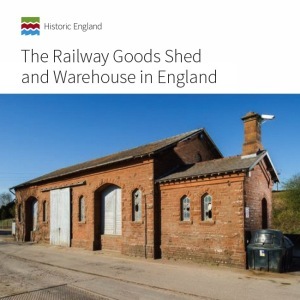 The book is profusely illustrated in colour and black and white and manages to make a compelling argument for the development of a 'goods-shed aesthetic' in addition to outlining the historical development of these buildings, their layout and function. ... This book should be seen as an essential starting point in any creative discussion of 'new uses' for this aspect of railway infrastructure. John Minnis' excellent new book. ... Clearly written and generously illustrated. ... More than a mere catalogue, the book is also attentive to questions of structure, materials and stylistic expression, and to the influences on the type from beyond the railways' boundaries. ... How these huge buildings functioned, from their clerical routines to the complex physical transfer of goods on, off and between wagons, is fascinating to read.